California will no longer consider vehicle delay an “environmental impact.” ##http://www.flickr.com/photos/pbo31/122200686/##pbo31##. A big, well-deserved middle finger from Jerry Brown to Rob Anderson. And what about if a project or an initiative actually _increases_ VMT? 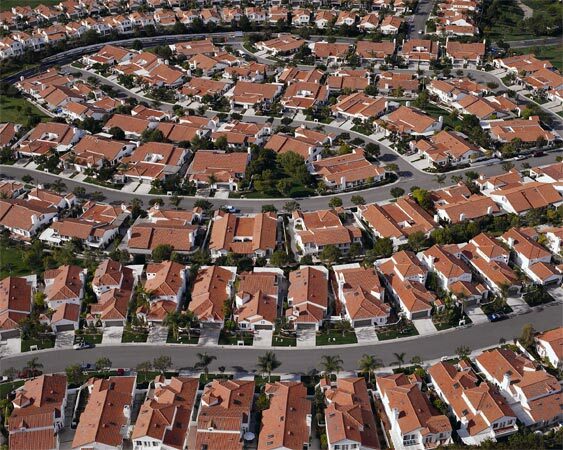 Does it fall afoul of CEQA and require mitigating measures? Presumably yes. Which will hopefully lead to more/better bike infrastructure as mitigation measures instead of right turn pockets. Yes, that’s the idea. The details would be left up to the agency to figure out, but could include transit passes/funding, managing traffic (HOV or tolls), and other travel demand management strategies. Sometimes stuff gets better. In San Francisco the biggest “environmental” hurtle to new high-density mixed-use has been the dreaded “Traffic Study”: pretty much institutionalized insanity. And it’s possible that stuff like funding bike infrastructure will become a desirable mitigation, which was impossible before. Woo hoo! So, let’s just say a certain reprehensible, Republican-sponsored car-centric SF ballot measure passes this fall…would anyone who followed its prescription have to prove it did not increase VMT, and if it did, have to mitigate with bike/ped measures? Releasing a draft of guidelines hardly constitutes the actual death of LOS. Until it becomes law and San Francisco establishes new guidelines LOS will still cause problems. Any estimate of when things will be finalized and we can declare LOS as really, truly dead? This depends. Was it a voter initiative or placed on the ballot by the supervisors? Findings of significant impacts based on LOS are now dead. OPR still needs to send the guidelines to the Resources Agency for official rulemaking and comment periods before the new VMT-based guidance for significant impacts applies in High Quality Transit Areas. On Jan 1, 2016, VMT-baaed impacts apply nowhere. Legal question is whether a governing body can still adopt a finding on LOS for a document that was prepared prior to these new proposed guidelines, or if it is now precluded from doing so. I think the latter is true, but it may take a court case to find out. Not sure if anyone will press the ambiguity though, as the writing is on the wall and the direction to abandon LOS is in the Code. The initiative text doesn’t work on my mobile – but from the summary it doesn’t appear anything proposed is a “project”. CEQA doesn’t apply to the voter initiative, but it would apply to its implementation. Thanks for the analysis. Doesn’t this basically do away with any measure of vehicular traffic impacts to local intersections? I guess that’s the point? We don’t care because it encourages alternatives to driving? This will definitely anger some anti-development folks. Baker and Upright Biker are bike guys and anti-car. The notion that building housing with no parking spaces or limited parking spaces is all the rage now in San Francisco. All those new, well-heeled residents will supposedly ride bikes or our under-funded Muni system. They won’t have cars because…? This is the way we do things in what I call Progressive Land. I’m a Democrat and I support the initiative, which will be the first chance city voters have had to weigh in on City Hall’s attempt to redesign city streets on behalf of a small, obnoxious minority of cyclists. LOS can still be used in general plans to help determine development impact fees–but that is up to local jurisdictions. San Francisco long ago decided that LOS is largely irrelevant for its planning purposes, but has been required by CEQA to measure it anyway–at great time and expense. Other cities may make different decisions, but the relative simplicity of estimating VMT may be hard to argue with. What about that small, obnoxious minority who walk on sidewalks who get separated space that could used for more travel lanes for the much larger majority who drive? Or the wheelchair users who should be traveling in the streets with the cars instead of using separated sidewalks? Safety improvements to those who ride in cars has been required to be installed by manufacturers for decades. Those that ride a bicycle should also have a safer place to travel in by getting separation from the faster and greater mass of motor vehicles. The share of commuters who were residents of the city of San Francisco who drove to work in 2005 was 48.0% and the bicycling share of the commuters was 1.8%. The share of commuters who were residents of the city of San Francisco who drove to work in 2012 was 44.0% and the share of those who commuted by bicycle was 3.8%. The percent of commuters who reside in the city of San Francisco and drive to work has fallen since 2005 and the percent who bicycle to work has risen. To be equitable some of the fixed amount of road space on major streets that is devoted to driving should be reallocated for separated space for those that bicycle. That is what San Francisco has been doing and the city should continue to do that as the percent of commuters who drive shrink and those that bicycle grows. It doesn’t do away with measures of traffic impacts to intersections. It just says that they are not an environmental impact under CEQA. Cities’ traffic engineers will undoubtedly consider capacity of intersections and keep traffic flowing, but this issue will no longer trigger an EIR and the lawsuits that might go with it – which will anger anti-development folks. and on behalf of reducing greenhouse gas emissions and preserving a livable planet for our children and grandchildren. Even your numbers/percentages show that cycling is in fact an insignificant share of commuters. According to the city’s own study, only 3.4% of all daily trips in SF are by bicycle, and that’s after ten years of anti-car, pro-bike propaganda from City Hall and the Bicycle Coalition. But the real alternative to driving in SF is our chronically under-funded Muni system, not bikes. What the city is doing now is probably not politically sustainable: redesigning city streets on behalf of a small minority of cyclists against the interests of the overwhelming majority who use city streets, including the 79% of city households that have at least one car or truck. California hasn’t “officially” ditched LOS until the rule is finalized and adopted. Get commenting, folks. Commuting to work by walking is a 9.8% share of commuters in San Francisco according to the Census Bureau’s American Community Survey results for 2012. Is that an insignificant amount in your world? Using a bicycle as the main mode of transportation to work is more than a third as large as those who walk to work. The survey does not count bicycling if someone rides a bicycle to a transit stop. So the rate of using a bicycle for at least part of the journey to work is actually higher than that and still growing. Bicycling to work is a increasing percentage of commuters and driving is a shrinking percentage. To say that all of the road space should be devoted to motor vehicles while its share of commuters is shrinking and bicycling is rising is not a equitable distribution of this space. No street where bicycle lanes are installed is preventing access for those using a automobile. Not separating bicycle riders from the much faster and greater mass differential of motor vehicles on a busy street would eliminate bicycling as a choice of transportation for many. Putting bike lanes on a street does not eliminate driving on that street, but it does increase the choices of transportation available. Having more ways to move around in a large city makes it more livable, not less. Clearly you don’t know San Francisco, which is a relatively small, densely-populated city with already congested streets. Taking away traffic lanes and street parking to make bike lanes does in fact impede traffic by funneling the existing traffic into fewer lanes. As the city gentrifies, there are in fact more cars and trucks on city streets. Millions of tourists drive to and around the city every year. The idea that a major American city is somehow going to turn into Amsterdam or Beijing circa 1964 is entirely fanciful. City Hall has been trying for years to sell cycling to city residents but with limited success, except to the young and fashionable—the city of course has many college students that tilt the city’s politics in an immature direction. As I say, the city’s bus system—700,000 passengers every workday—is the real alternative to driving, not bicycles. The anti-car policies are nothing but foolishness that ultimately will be rejected by city voters. Clearly you don’t understand how much more space it takes to store and move automobiles around in a densely populated city compared to bicycles. Taking away most of the 3.8% share of commuters using a bicycle and replacing a good portion of that means of travel with car commuting is not going to reduce the congestion in San Francisco. It only takes a small single digit percent of increase in driving to cause a significantly longer delay in traffic. A very small portion of the parking and moving lanes for motor vehicles has been taken away and given to bicycling. I know that because two standard 5-foot bike lanes equals one through lane for motor vehicles and many of those bicycle lanes can be located in the left over space where parked car doors swing open. Your not going to reduce traffic congestion in San Francisco by encouraging more and more people to drive during peak hours in what is essentially a fixed amount of road space. The amount of workers aged 16 or older who reside in San Francisco increased by about 66,187 between 2005 and 2012 according to the Census Bureau. Out of that increase there were about 13,845 more people who primarily drove a car, truck or van to get to work. In that same time period, there was an increase of about 10,154 more residents of San Francisco who used a bicycle as their main means of getting to work. That’s a total increase of 47,998 residents who bicycled, or drove a van, car or truck to work. Forty-two percent of that increase was from people who used a bicycle as their primary means of commuting to work. Which is much more than a small percentage of the increase in commuters who reside in San Francisco. When the voters weigh in on this measure, we will see who is the majority and who is the small minority. Hint: The supervisors are elected by the majority of the voters, and not a single sup supports the measure. Looking at the change in commuting in the ACS results from 2011 to 2012 for San Francisco is even more interesting. There was an increase of about 10,984 more residents who worked from the 2011 ACS results to the 2012 results. Out of the total amount of workers in 2012 compared to 2011, about 461 more used a car, truck or van as their primary means of traveling to work. About 2,166 more workers in 2012 compared to 2011 used a bicycle as their primary means of getting to work. The increase in commuting by bicycle was about 4.67 times more than the increase in driving to work by car, truck or van in that time period. The growth in the amount of workers who reside in San Francisco choosing to bicycle in the 2011 ACS results compared to the 2012 results far outpaced the increase in driving by car, truck or van to work. Increasing the amount of bikeways in San Francisco is clearly substantially reducing the growth in driving to work and this is being done for a small fraction of what it costs to build parking lots for cars and more transit lines. You’ve got the numbers wrong. The percent of workers who resided in San Francisco in 2012 and who used a bicycle as their primary means of getting to work was 3.8%. About 6.7% of the 100% total number of workers in the 2012 ACS results stated that they worked from their home. A portion of the people who used a bicycle to get to work are counted as using transit as their primary mode of transportation to work if they rode on transit for the longest portion of the trip. 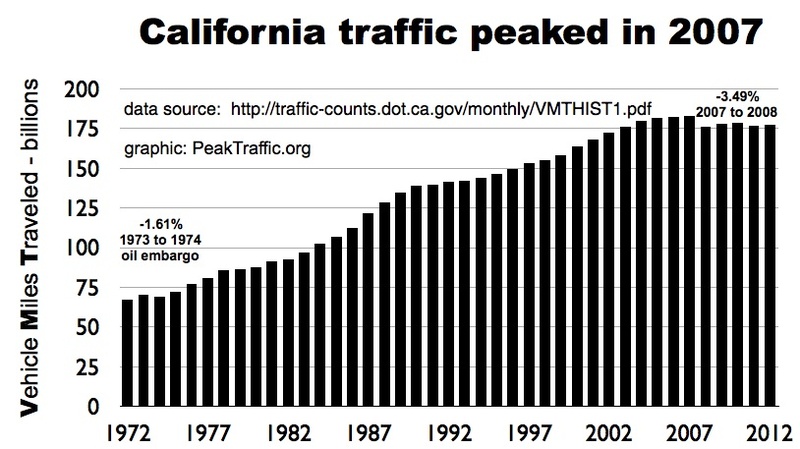 Transit use also increased in that time period. From the 2005 ACS results to the 2012 results, transit gained 0.4 of one percent of the total workers. Bicycling gained a full 2% greater share of the total workers. That’s five times greater gain in the percentage of bicycling to work compared to transit. Its obvious that you cannot believe that people would choose bicycling to work over driving even when the data strongly suggests that is increasingly the case. The bicycle count in San Francisco for 2013 increased 7.5% over 2012. That means the percentage of workers who choose bicycling to their jobs will likely increase in the 2013 ACS results as the growth in the number of people commuting will likely be far less than that. Actually, supervisors are elected by district in SF, not citywide, which is why the vote on the initiative has a better chance of passing. I haven’t “fiddled” with the numbers. These are ACS results that don’t jive with your personal beliefs. An increasing percentage of commuters are bicycling while the percentage of those driving to work is dropping. Its great that San Francisco has got the political will to take away storage space for motor vehicles on arterial or collector streets to install moving lanes for bicycles. Moving people on arterial/collector streets should have priority over storage. An increasing percent of those that travel on the streets are riding a bicycle, therefore more of that road space devoted to motor vehicles should be reallocated to bicycling. 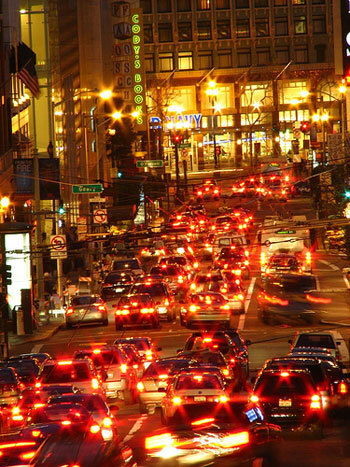 SF drivers are pushing back against the anti-car movement. We started with the parking meters and Sunday parking and now are we going after the fines and fees, much like LA citizens are doing. We are no longer asleep at the wheel. It’s obvious you don’t really know anything about San Francisco. Please cite the specific streets where the city has “installed lanes for bicycles.” The gains you claim are trivial compared to traffic overall. So far, you haven’t refuted any of the numbers I have provided other than to give your opinion, but you have tried to attack my credibility and made some unsubstantiated claims. One of your claims is that taking away travel lanes and parking for motor vehicles to install bike lanes impedes traffic. If this has had a significant negative impact on travel during peak hours in the city, then the average time it takes residents of San Francisco to travel to work should have gone up after bike lanes were installed (29 miles in just the last 5 years alone). The mean travel time to work over a three year average in both 2000 and 2012 are essentially the same even though there was an estimated 29,556 additional workers who were residents in 2012 compared to 2000. The average travel time to work for San Francisco overall has not gone up, according to the ACS results, even though there were 29 miles of bike lanes added from 2009 to 2013 (64% more). The 2013 ACS will be released next month. I suspect the mean travel time to work will not have gone up in that year either. With few exceptions, the bike lanes created in SF in recent years weren’t separated bike lanes that removed traffic lanes or street parking. They were just lanes painted on the streets. Hence, they wouldn’t have had any effect on commuting time. As I pointed out earlier, you’re indulging in an abstract numerical exercise that has little to do with the reality on the streets of San Francisco. I have driven a LOT in my life. I am not anti-car. But my life is SO much better since I have moved to a walkable and bikeable city neighborhood. I still typically get in the car one time each day, but I do almost all of my errands by bike or on foot. I support making places friendly for people, not just for cars. Does that make me anti-car? Real misery is being forced (by bad planning that leads to car-centric infra) to drive for short trips for which biking is cheaper, healthier and more environmentally responsible. Why anyone would not want to reduce the number of car trips we make is a real mystery to me. If a mode of transportation increases its share of commuters on public roads, then more space should be available to reallocate to it. The percentage of commuters who bicycle has increased, therefore more road space should be devoted to that form of transportation. It should not be the majority taking all of the space. Space for sidewalks was created to provide protection for a minority and likewise separation should be made for vulnerable bicyclists on busy streets. There should be safety improvements for those riding bicycles as there have been for car occupants and pedestrians. Of those 29 miles of bike lanes installed in the last five years, 12.16 miles (42%) are protected bike lanes. These protected bike lanes were installed from 2010 through 2013. An additional 0.20 miles of protected bike lanes were installed on Polk St. this year. The ACS mean travel time to work is the average of the thousands of yearly survey responses from residents of San Francisco who stated what their commute times were. Your essentially stating that their responses are not reality and your viewpoint is. Admit it, Rob, you have a vendetta against bicycling in San Francisco and no amount of facts and information is going to change your mind about it. There were 23,225 bicycle riders counted by the SFMTA at 51 intersections in a two hour peak period in 2013. Double that number to include those same people riding back in the other direction and the total would be 46,450. That number is for four hours out of a day and is equivalent to 6.6% of the amount of people that board the bus system in an entire day. Market St. has approximately 6,000 bicycle riders on a average weekday. The share of commuters who bicycle will likely pass 4% in the next two ACS results. It should hit 5% in a handful of years after that. Bicycling is growing in San Francisco and your attempts to stop it from increasing have failed. Its not buses that are getting people to leave their cars at home for their commutes, its that growing “small minority of cyclists” as you put it. The share of commuters who drive to work has fallen from 48% in 2005 to 44% in 2012 for residents of San Francisco and the share of commuters who bicycle to work has risen from 1.8% in 2005 to 3.8% in 2012. People are voting with their pedals and its obviously not buses that are getting them to leave their cars at home for their commutes, its bicycles. If driving dropped by 4% and biking increased by 2%, that leaves 2% unaccounted for. So what are they doing – taking public transportation? Walking? The large elephant in the room in particular with transit projects is how does this change from LOS to VMT effects opportunities for Federal Funding (the State doesn’t have any money for projects)? LOS isn’t perfect but it’s hardly the problem, its more of how various interests manipulate the metrics in a legalistic manner for the wrong reasons to get whatever result they want. I don’t think that transit has done very well under in the LOS era (may it rest in peace.) I don’t think the end of LOS will change transit investment overnight – LOS is only one big car-centric rule in a huge book of car-centric rules …but I think that ending LOS’s practice of counting a bus and a car the same could be a step in the right direction. Making the note of “no significant impacts” when talking about transit and other mobility is key. Changing the metric will not magically do this. Because one is more localized the other is more regional in how the network is composed together. Both are needed to understand what works and what alternatives can be used. In practice, this occurred under CEQA/EIR process wearing my Sierra Club Transportation hat, for the Farmers Field Transportation Impact analysis both advocates and AEG realized that you can’t build more auto-lane capacity out of an existing right and that there should be a Transportation System Management alternatives to relieve these impacts. No change to LOS to VMT. It’s recognition of the planning and impact scales (local vs regional) and finding the best fit for both. With VMT under this potential idea per the bill language, transit to even get a foot in the door will have to require a definition of the corridor in question to be a “Transit District”, most transit projects aren’t quantified by districts but rather than corridors that connect the districts together. That is a very important distinction because projects that can help mobility; like a bike lane in a local district would have the allusion of competition in the same corridor and same street right of way where a bus-only lane project may exist that benefits a regional perspective and given the authoring bill in SB743 had more references to the Sacramento NBA arena (6 times) than to SB375 -the key fulcrum to which all these planning, mobility and land use factors are leveraged (once in the preamble) is making this advocate a little weary. Pasadena was actually the first city in the state to eliminate level of service from transportation metrics used in CEQA.